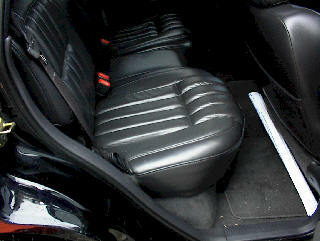 1) Lift rear passenger side seat. 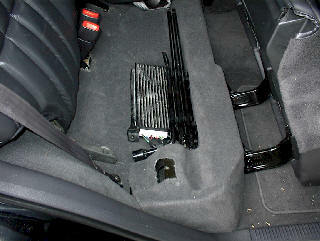 2) Remove jack accessories from holders. 1) Disconnect connectors by releasing trigger. 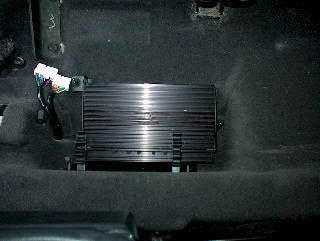 2) Remove three bolts securing Infinity amplifier to floor.